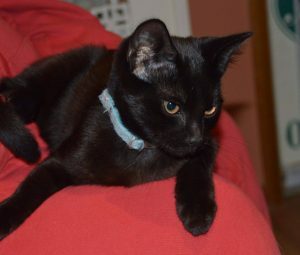 Max 16 Wks domestic shorthair, male. Max came into rescue with his 2 sisters, Oreo and Pepsi. 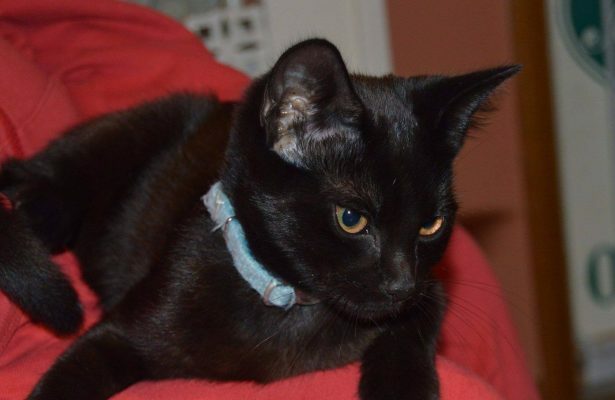 He is a very confident little kitten and is always the first one to say hello or investigate. He is vocal and likes to talk to you. He is used to spending time with dogs as well as adult cats. Max would be happy to be re-homed by himself or with another cat. For more information please fill in an enquiry form.